The testimonials on this page are unedited and are soley the opinion of the author. company fraud. I thank you for your excellent & honest service. I just got a check yesterday finally for the Diminished Value claim on my 2012 Rav4. State Farm did not argue or negotiate...they wrote a check for the full amount $2500! I really appreciated you guiding me through the process and looking out for my interest. The shop you referred us to, K&B Paint and body did a good job, and when you found a few minor, nonstructural issues on inspection, they quickly corrected them. I would have not had the experience or eye to see the cosmetic flaws, and that the actual structural repairs were done well. Fast forward 3 months....we are back again with a total loss on another vehicle, the 2001 Accord. Was it worth having it towed from SC to NC to you? YES! Thanks for your honest evaluation and your guidance on how to deal with an overwhelming situation. We were blessed our son was not injured. I appreciate you being patient with the many questions, texts and requests for info that I sent your way. Until I had to experience dealing with insurance companies, tow companies, and AAA, I had no clue how to negotiate with them, no clue as to what the laws and "protocols" were. We are hoping we are through this season of "car issues"! If we ever had another incident, I would not hesitate to drive from SC to NC, and have my vehicle inspected by you. Thanks for your assistance. my car was struck in the rear quarter panel of the passenger side door. It was a scary ordeal and thankfully no one was severely injured. close to $16,000. I was told the majority of the expenses were attributed to replacing the air bags and it would take about a month to fix. up my car when it was fixed and they would handle the remaining expenses later. reading forums about lowballed repair invoices and botched body shop repairs and finally saw some information regarding 3rd party appraisers. After researching reviews for the most credible appraisers, I came across the webpage for Collision Safety Consultants and the Pack Brothers. They offered a free post repair inspection. I called them at 9pm one evening and received a call from Billy first thing the following morning. I shared my story and Billy was highly enthusiastic about inspecting my car. He told me I had nothing to lose if the repairs were done right. they called and said the floor of my car had major damage and should have been replaced…the vehicle was totaled. NC Farm Bureau agreed to total my car and write me a check for $33,000. I found the email Billy instructed me to save, stating that my car was worth over $36,000 and they honored that amount. Not only did they pay that amount, they also paid taxes and fees, and covered the appraisal fee Billy and the Pack Brothers were due. be grateful to them for putting my family's safety first! when the insurance companies have not done their proper job. All the testimonials in your web site are right on the dot. We refer any client that we think has issues of diminished value to you and you always succeed. family was starting to make plans for her funeral service. My nephew, who is in the military, is stationed in GA.
plug. Seeing the oil dripping in the driveway, she called the dealer. They sent a tow truck to retrieve her vehicle. who was going to pay to fix the damage. contact you and you would help her get another vehicle to make the 13 hour long drive to PA.
Billy, you helped me and the family out when we really needed it. For that I am eternally grateful. amount of money offered by the insurance company at the start! Thanks for your assistance. I look forward to working with you in the future. Shortly after somebody ran into the back of our car, I thought of an old friend and fraternity brother in the collision business. an accident, the insurance company fixes the car, done deal. Billy informed me there can be much more to it. blindsided several years later when selling their car. useless. These are things you would not be able to see for yourself unless you knew what to look for. with Bill and apologized for the poor repairs. The insurance company totaled the car and sent us a check for a new one. This cost us nothing, Billy's fee was paid by the insurance company. important thing is that I would never have known the car was unsafe to drive unless he had a chance to check it out. It is well worth your time and safety to call Collision Safety Consultants after any accident. I can't thank Billy Walkowiak enough for the tremendous service he did for myself & my entire family. protect us right? Well, No they didn't! and after my claim went through I paid the loan back in full. which would have been next to worthless had we ever tried to resell or trade it in. proper actions the get them to restore me to the full value of what I had before the accident. continued safety of my car if the insurance company authorized used parts in the repair. In the end, I came out the winner because I had Collision Safety Consultants on my side. $4600 for the diminished value to my vehicle after another independent assessment. Needless to say, this was not even in the ball park to meet my expectations. he was able to get them to increase their offer to $8000.00, almost twice the original amount. experience or support - it is top notch! thorough report and timely filing of it maximized my settlement for the accident. value and to offer me a reasonable settlement for it without using a third party appraiser. They refused. Without you, I would have gotten zero. I said I would not have gotten that without your assistance. offered much less, if I had filed it myself. This is a huge thank you to Billy Walkowiak, your staff, and your partners at Pack Brothers Body Shop. guidance may have saved our lives. weeks, I thought it was fixed until I started noticing unusual sounds. were not made correctly. Rust had already set in on the repaired areas. In the event of a crash those repairs would not have provided the protection they were supposed to. Needless to say, the vehicle was deemed unsafe to drive, and it was parked. years, Nationwide finally decided to total it. Collision Safety Consultants invested many days in taking the vehicle apart and checking the repairs/damage. Collision Safety Consultants, I am now driving a new Toyota Highlander. Billy, thank you so much for your expertise, your kindness, and your guidance. Without your help I would not be driving a safe new vehicle Today. I regret is not going to them and Pack Brothers in the first place. definitely recommend Billy’s services to anyone who has been in a motor vehicle accident. Thank you Billy for stepping up for victims against pushy insurance companies! I had only had my 2012 Nissan Sentra for only one month. The car had almost $10,000 in damages. ignorant of what compensation should look like for my particular situation. the process step by step, handled the claim in such a timely manner, and knew exactly what he was doing. thankful for how Billy really helped me and saved me so much money and trouble. stopped school bus. Our new 2012 Toyota Mini van sustained almost $6000.00 in damages. contacting legal help. We began the litigation process in early 2013 after completing all medical treatments. inspected our vehicle and then contacted the at fault insurance company for us. waited too long to submit a diminished value claim and thus we were not entitled to any DV amount at all! he would dispute their bogus claims for us. a second letter arrived offering $2148.00. My husband almost fell out of his seat when he saw the letter. He’s a pessimist and was sure that we wouldn’t see a thing. relieves a burden of stress regarding how to even go about such a procedure. you’ve been hit go see Billy and let him get the money you deserve! done to our 2008 Honda Odyssey van. but should have been totaled from the beginning. never have gotten this matter settled. Thank you from the bottom of our hearts for everything you have done for us ! through my insurance company and then my insurance company would subrogate with the liability insurance. come out and reappraise my car. make sure I was taken care of and satisfied with the end result. I highly recommend them for any auto repairs. Thank you guys again for all you did!!! considered it repairable so we agreed to have the repairs done. the repairs that the “Blue Ribbon”body shop made. We are so thankful that he insisted and we were absolutely appalled with what they showed us. rust from lack of proper protection (after only 5 days in our possession!!! ), and improper welding throughout. improperly done, or not done at all. Needless to say the car wasn’t safe to drive. poor work would only further compromise the vehicle’s structure and that wasn't an option in our mind either. using Billy if you ever find yourself in a similar position like we were in. Thank you for helping us to recover $20,000 in diminished value for our 2013 Cayenne GTS. company was uncooperative. Your knowledge andprofessionalism was instrumental to settle this claim. The fact that you called and emailed me every week eased my frustrations. I truly believe I never would have been able to obtain the correct diminished value without your efforts. I hope that I never need your services in the future, but if I do you will be the first person I call. Let's just hope more people pay attention and make the roads a safer place! the value of our car up by making sure it was done correctly. fair and more than we expected. anyone I know needing assistance with an auto accident, because of the level of service he provided!! to Collision Safety Consultants for a Diminished Value Appraisal to determine my loss. through no fault of my own but as a result of this my vehicle was going to be worth less. vehicle inspected to make sure the accident damage repairs had been completed properly. to the accident.Billy helped me make the right decisions needed to get my situation back on course. The repairs were properly corrected and I was compensated for the diminished value of my vehicle. Billy’s experience and expertise were key factors in getting my problems solved. and the help of his staff at Collision Safety Consultants. I just wanted to thank Billy Walkowiak of Collision Safety Consultants for his help after my accident. My brand new, 2012 vehicle was rear-ended in South Carolina over the Thanksgiving holiday. I was still a bit overwhelmed, but he put me on the right path. I would refer friends and family to you should they find themselves in a similar predicament. accident, then he recommended that I contact Billy. On November 4, 2001 I received an email from Billy explaining who he was and what he did. an estimate of $7900.00 to repair my Civic the correct way. course why they did it. which is what they should have done 3 years ago. I am writing this long testimonial for many reasons, the first of which is how fast this all happened. insurance companies are going to say before they say it, TRUST HIM and his company. I can not thank him and his company enough for the work they did for me and my family! just give up. Well, with out Billy and his staff- I would have done just that! I am writing this letter to express my gratitude for your help after I was rear ended. and I were so glad to have found you. We are so appreciative. Not only was it a much quicker process with you involved. My car was wrecked on the 4th of February and the check was mailed from Greenville, SC on the 22nd of February! understatement! We are elated with the results and the fact that we have made a life long friend! Thank you again for all of your wonderful help with this situation! restitution. I am thankful my brother knew you and he was able to lead me in your direction. I want to take a moment to sincerely thank you and the entire staff at Collision Safety Consultants. my vehicle was repaired after the accident. Consultants, I'm getting it repaired the way it should had been repaired the first time! the insurance company did not think that was the case, needless to say we worried about it. I drive the exact same make and model car and the differences were on the extreme side. I had a feeling my worries over battling with the insurance company were going to come true. body shop would do this level of work and pass it off as a safe and fully repaired vehicle. company and were able to walk away from this ordeal without any problems. are allowing situations like mine to occur. "holding my hand" throughout the process. assistance. I wish you the best Billy and thank you again for caring and for your help! I have been a long time client of Nationwide for many years and paid THOUSANDS in premiums to them. in the front end and taken to a Nationwide approved Blue Ribbon auto body shop. and analyzed the damages of the vehicle and the cost estimate sheet and it seemed to be a total loss. my vehicle to a body shop of Billy's recommendation. That body shop assessed the vehicle as a total loss. Long story short, so I hired Billy to assist me with my claim. Throughout the claims process, Nationwide treated me as if I was crook and purposely prolonged my claim. right in to get my car fixed the way it should have been the entire time. help correct my issues, and I am so thankful to have had your expertise to get the car correctly repaired. With your help, the insurance company almost doubled their initial offer for diminished value. If I ever have another accident, and hopefully not, you will be among the first I contact to ensure proper repair of my automobile. Again, I will make sure I let all know how great you and Collision Safety Consultants are with your business. You make the world a better place, and I appreciate that! other driver did not yield, and slammed into our sedan with their full size SUV, causing extensive damage. and an unsafe vehicle. I knew I needed help. trusted your team. The process was FLAWLESS and completely stress free. accident but in the event they do, you’re on my speed dial. I’m passing along the number. The at fault insurance company even implied they wished he was on their team!! I highly recommend him if you find yourself needing an expert in the property damage field." I just wanted to thank the both of you for handling our diminished value claim against Kemper Insurance. Insurance companies don’t mind taking your money but they sure never seem to want to give any up. We will recommend you to everybody. Again, thanks for all your help and you are welcome to use us as a reference if needed. I have been extremely busy with the record heat we experienced this 2012 summer so far. service prior to me being involved in the accident. over to Pack Brothers Collision Center in Belmont to take a second look at the repairs made to my car. As the technicians began to strip my car and inspect the repairs made to my car by Hendricks Honda. had no choice but to take care of me. I cannot thank you guys enough for all of your hard work, very valuable knowledge, and assistance. that the repairs are made correctly. You should use this team of professionals to help you get the job done! Lennox Parts Plus- Greenville S.C.
the damages to be repaired. sent back and forth and calls not returned to me, I was only offered $430.Needless to say, I was not happy. I found Billy through the research I had done. Billy had a very similar case to mine on his website. they threw back with some legal jargon and 'double recovery' cases, which the judge promptly overruled. They never called the insurance adjuster to testify. The judge ruled in my favor and I received $3,000! friend I could contact when I needed support or advice. nearly 100 miles away who referred me to Billy Walkowiak and Collision Safety Consultants. after looking at Pack Brothers report, determined that my car was in fact a total loss and NOT repairable. after declaring it a total, he was right there with me insuring that they paid me a fair price for my car! I am amazed at what the insurance companies get away with by bulldozing innocent people! If I am ever so unfortunate to be in another accident, Collision Safety will be my first call! Thank you so much--I am forever grateful! or a diminished value claim Billy Walkowiak is knowledgeable, efficient and prompt in helping my clients. seen Billy Walkowiak and Collision Safety Consultants accomplish. I highly recommend him. and had only 63k miles. services. In fact, he is now listed on my firm's website to help my vehicle injury clients. I was in an accident and had my car repaired at a body shop recommended by my insurance company. payment on a new vehicle. professional, friendly and honest. They truly helped me and genuinely care about people and their safety. enough good things about you guys! Thanks Billy & everybody @ Pack Bros., you guys are so great & I've been recommending you to everybody I know! Allstate. I could not even expect it would be this fast and this much. I will gladly recommend you to my friends. work on my car & his honesty. I was very worried with all the damage the car had that Honda was saying they could fix the car. of someone negligence. I am very thankful to Billy & his staff for protect us & giving me the truth on my car. done for Judy and me. to determine that my car was unsafe to drive based on the repairs Hendricks completed initially. to other people and will keep you in mind for any future collision & body repairs. I would like to thank you for all your help regarding the problems I had come across with my vehicle. Consultants, I was able to find out that my car was involved an accident (also not properly fixed). CSC was able to help me resolve this issue. y car is now at the shop, being repaired the right way. still people out there who are truly willing to help you. correctly. I then took my car to Collision Safety Consultants and my car was fixed properly. as among the best automobile repair facilities in the North Carolina service area. maximize my client's outcome. My client was very please with the results. within seven days of the inspection of my vehicle even though the accident was my fault. When the accident occurred we were in Virginia and we had the car towed to the local BMW Dealership. that should have been replaced. I don’t know what we would have done without you all helping us. Thanks again, for a job well done! I stumbled upon Wreck Check in my hometown of Gastonia while researching 'Diminished Value'. not to mention the very safety of my family. the repair work, I spoke with Mr. Pack regarding the Diminished Value laws of North Carolina. collision. Fortunately, Mr. Pack also mentioned his Wreck Check service, and I agreed to have a post-repair inspection by his technicians. missed due to the fact it was raining when I originally picked up my vehicle. Check revealed where the rails had been hammered and then spot-painted toconceal damaged components. detailing precisely how the repairs should have been done. totaled by the insurance company. around in a vehicle whose engineered safety design had been compromised. I will never again use any other repair shop than Pack Brothers' Wreck Check. Thanks, Ronnie! it was a total loss and they couldn't get it fixed with Styrofoam that it was illegal. same position I was before the accident, which is all anyone could ever ask for. to have someone as knowledgeable and experienced as you on your side when you are navigating through an auto accident claim. 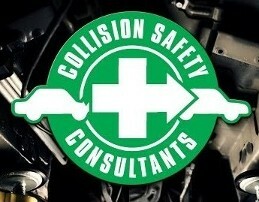 I would like to send a shout out to Collision Safety Consultants! car. I worked with the owner, Mr. Billy Walkowiak. He had great customer service and care. has been in a car accident.